In this time of much educational change, in 1884, the boys from Allsopp’s Foundation Charity School were amalgamated into the new Bond Street Grammar School, presenting an unprecedented number of non-fee paying boys the opportunity of a Grammar School education. The girls from Allsopp’s Charity School formed Allsopp’s Girls’ School, for girls aged between 7 and 17, in new premises in Waterloo Street. This was effectively, the start of the Girl’s High School with Miss Kate Rutty being appointed as Headmistress. 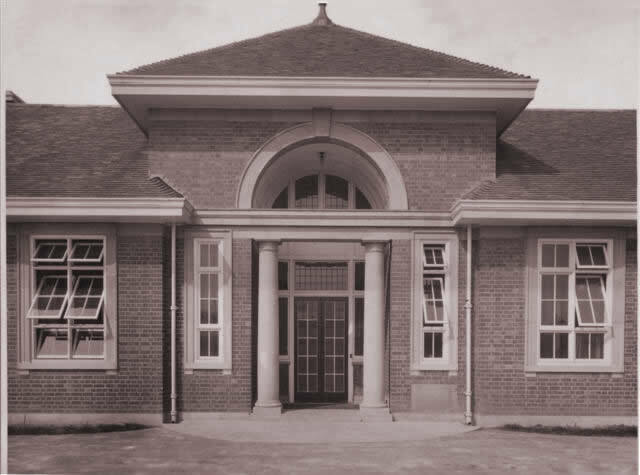 Girls High School was established almost 30 years before Winshill Grammar School for boys. The Girls’ High School was to eventually find an impressive new home in Winshill in 1928, to a site formerly belonging to a house called the Woodlands. This was an influencing factor in the selection of site of the Burton Grammar School almost thirty years later. It also that for almost 30 years, Girls in Burton-on-Trent enjoyed much better education facilities than boys.